With so many restaurant choices in a city as big as Shanghai, it can be difficult to navigate your way to the perfect spot. Why not pick a local that offers excellent food, quality service, and best of all, a breath-taking view of the urban metropolis. This immense city looks even more impressive from atop. At these top Shanghai restaurants with panoramic bird’s eye vantages of the city, you will be able to enjoy an exclusive dining experience along with one of the most premier sights in the world. 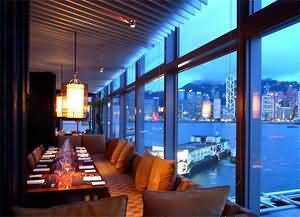 Here are our recommendations for the top Shanghai restaurants with killer views. 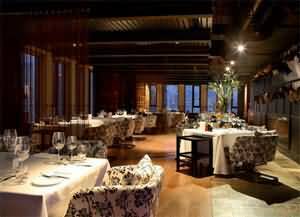 One of top rated restaurants in all of Shanghai, M on the Bund is an experience like none other. Not only will the culinary specialist in your group be pleased, but you really can&apos;t beat the restaurant&apos;s location and awe-inspiring views. 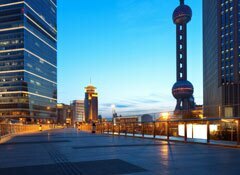 It overlooks some of Shanghai&apos;s most notable sights, including the historic Nissin Shipping Building and the Bund. 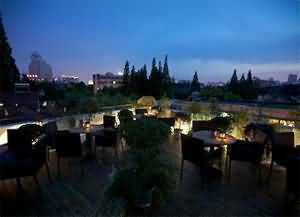 Enjoy the evening in the cozy main dining room, or get a breath of fresh air out on the scenic roof terrace. You&apos;ll have your choice of a creative array of Mediterranean, Middle Eastern and North African inspired dishes, all conceived out of classical European techniques. And don&apos;t just stop at the main course, M&apos;s signature Pavlova is a mouth watering treat. For an earlier taste of M, check out their morning mimosa brunch served every weekend. Reservations: (86 21) 6350 9988. Requested, but not required. Nestled in a sea of fast food restaurants, Xibo is a gem on the third floor of the new Platnuim Food Court. 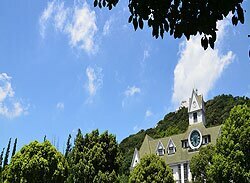 Xibo is set apart by its attention to warm and chic environment, and yes, a great view of the city. The word Xibo comes from the Dongbei horseback riders called the Xibonese that rode over 250 years ago. They are known for their language, culture and comfort food, such as pan-fried bread and roasted eggplant with peppers. Other notable favorites include steamed Pumpkin Dumplings, roasted lamb dishes and Big Plate Chicken. The vibe is cool and mellow, in contrast to the hustle and bustle of the surrounding area. From the third floor, diners will be treated to views of Pudong&apos;s architecture as well as older neighboring homes and communities. Folklore, ambiance, great food and killer views meld into one at Lost Heaven. 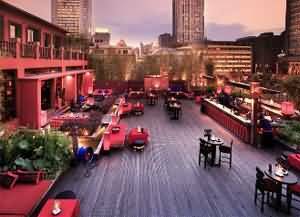 The newest location, which was just opened in 2009, is steps away from the Bund and People&apos;s Square in Shanghai. Towering four stories above the concrete, Lost Heaven covers over 3,000 square meters. The first floor transports you into the world of the Yunnan. A picture gallery and welcoming bar invite guest to gaze upon representations of the long history of tradition of the Yunnan. The second floor houses the restaurant, in which guests are seated in accordance to the Hani tribe customs. Long stretching tables, able to fit up to 100 guests, were the customary way of hosting feasts. Miao, Dai, Tibetan, Bai and Yi fusion food like you have never tasted before and is served with great pride in Lost Heaven. Be sure to try some of the more exotic Mountain Mekong specialties like Braised Banana Flowers and Dai Tribe Pork Lettuce Wraps and Spicy Egg Halves. From the top of the Hotel Indigo Shanghai, the views of the surrounding city twinkle in the darkness. That is why Char was chosen to sit upon the top three tiers of the hotel, giving guests a unique culinary and 360 degree visual treat. This steakhouse is more than your typical beef joint. It is high class and the mood romantic and playful at the same time. Famous dishes such as the Wagyu Eye-fillet, served only at Char, is flown in from a cattle ranch in Australia. The beef is served with grilled lobster, foie gras, black truffles and wild mushrooms. The biggest appetite will have trouble indulging in so much rich food. But it will be fun trying! For lighter dishes, try the Black Cod, Oysters or King Crab. Even the varieties of exotic condiments are enough to make your mouth water. If you can snag a corner table, over looking the metropolis below, your whole trip to Shanghai can be made in one evening. Founded by an American ex-pat, Kathleen&apos;s 5 will not only take you to the finest American cuisine, but lift you up to a great view of Shanghai. With an inspiration story and a way of making her way up the culinary ladder in the city, Kathleen makes sure that everyone around her and in her restaurant is happy and satisfied, no matter where they hail from. Located on the rooftop of the historic Shanghai Art Museum, the setting perfectly captures the whimsical, yet delicious menu. The restaurant is open for brunch, lunch, afternoon tea and dinner. Enjoy some of the Western Fusion favorites from the menu such at the Scallop appetizer, Roasted New Zealand Lamb Saddle and Australian Beef Tenderloin. The chef recommends The Suckling Pig. The dish starts off with a 10kg pig and utilizes every part of the animal. It is beautifully prepared and perfect for a large, hungry group. If you are in the mood for Italian and want to make a great night of it all, look to Cucina which is located on the 56th floor of the Grand Hyatt Hotel. It is also a part of Jin Mao Tower. The restaurant features on open kitchen, for those who like to see all the skill and artwork that goes into preparing meals, as well as a brick oven for fresh breads and pizza. But this is more than just your average pizza restaurant. While the style is upscale, the vibe is never rude or stuffy. To start your meal, try any of the assorted appetizers such as the Beef Carpacio, Arugula Salad or Bruchetta. An extensive wine list is also provided to start your meal off right. Go with any of the signature Italian classics such as the Risotto with Quail Sausage, Custom Brick-Oven Pizzas or the Schiaffoni with Bacon, Ricotta and Artichoke. And to get in on a window table, make your reservations well in advanced. New Heights brings exactly where its name promises. 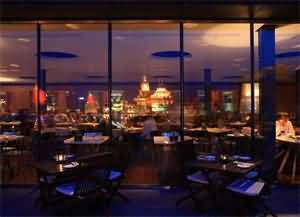 Between the elevated panorama of the city and the new levels of cuisine, the restaurant perched on the top of the Three on the Bund will surely heighten your senses and spirits as well. The warm, friendly environment is suitable for business meetings, or a night out with friends. A DJ spins on Friday and Saturday evenings and will really get the party started. 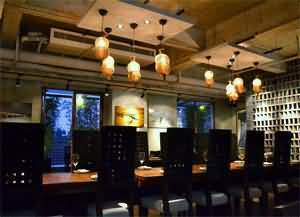 Expect contemporary cuisine, local Asian flavors are also served. Options for light snacks or full meals are available. 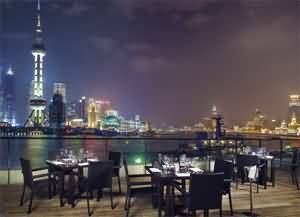 Gazing down at the Bund below and the stunning Lujiazui skyline while enjoy the Kobe Sirloin, Grilled Red Snapper or the Prawn Risotto from the playful and creative menu. With an atmosphere as cool and laidback as its name, the Apartment is a casual, yet chic New York style loft restaurant and bar. A large outdoor patio, as well as an indoor dining room, are cozy and reclusive. But the view from the balcony will have you feeling like you are on top of the world. For those wanting smaller portions of food with drinks, there is an extensive appetizer and upscale bar food menu. For those feeling a little more than peckish, a full dinner menu is available. Be on the look out for specialties such a wide array of Manhattan-style handmade pizzas. The Apartment is a popular place for expats looking to feel &apos;at home’. With comfy leather lounge chairs, great cocktails and delicious food, you might just start feeling at home too. If heights are your thing, then 100 Century the place to be. It is located all the way up on the 91st floor of Shanghai World Financial Center, which is one of the world&apos;s tallest buildings. 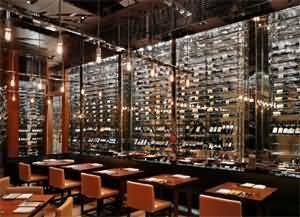 The restaurant is known for it&apos;s spectacular kitchen shows, a seemingly endless wine list and a view that is hard to forget. Food from worldwide is on showcase at 100 Century. Ein Prosit! A taste of Germany is located in the heart of Shanghai. 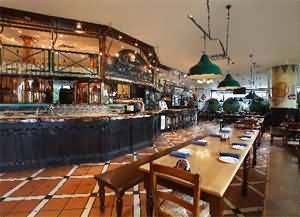 This classical Brauhaus delivers quality Bavarian food, well-known German beers, and views of the Bund and its surroundings. If you would like to do something different for the evening, venture over the Paulaner and you surely be delighted by the sights, sounds, hospitality and delicious flavors of Germany. 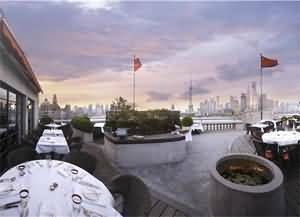 There are multiple locations of the restaurant in Shanghai, but this spot near the Bund offers patrons the best view of the city. Whether you are into Bratwurst, or Brezels, Sauerkraut or Wiener schnitzel, there is something for everyone. Just make sure to wash it all down with a fresh brewed Paulaner Lager or Wheat beer, made right here in-house!